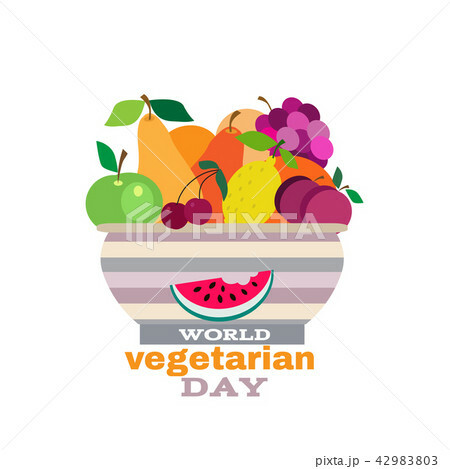 World vegetarian day. Template poster, banner in flat cartoon style. Vector illustration.